Workers and youth around the world have followed the struggle of the Greek people with interest and hope. At the end of July and beginning of August we visited Greece to meet activists, trade unionists and members of left parties to get a first hand account of the situation in Greece. As soon as we arrived, we walked through the streets of Athens. Each corner of the city gives a testimony of the crisis: empty shops, retail premises left empty, every space is covered with graffiti as if the city was decorated with wallpaper with the word “No”. The negotiation between the Greek government and the Troika made headlines in August –right in the middle of the summer. The migrant crisis is a burning issue. Every day thousands of migrants arrive by boat on Greek Islands, fleeing war from Syria, Afghanistan and other countries seeking protection in Greece. The same countries responsible for the conflicts and crises in those countries refuse any kind of help. They deny the refuges the necessary documentation to look for a job. During our trip in Athens we visited the Areos Park in the center of Athens where dozens of migrants and refugees have set up camp. Four hundred refugees from Syria and Afghanistan manage to survive thanks to the solidarity of the local community. We interviewed activists of Radiofragmanta , a community radio run by a local anarchist collective and involved in solidarity activities. Refugees fleeing are being treated with indifference by the Syriza government. On Tuesday August 11, thousands of refugees, who had been sleeping along roads and beaches on the island of Kos, were rounded up and marched to a sports stadium in order to be registered. On the way, some were brutally beaten by police officers. During our trip with had the opportunity to meet activists and members of the group OKDE-Spartakos, one of the forces within the coalition known as Antarsya. The comrades from OKDE-S invited us to participate in their summer camp in the seaside resort of Kamena-Vourla in the centre of Greece. 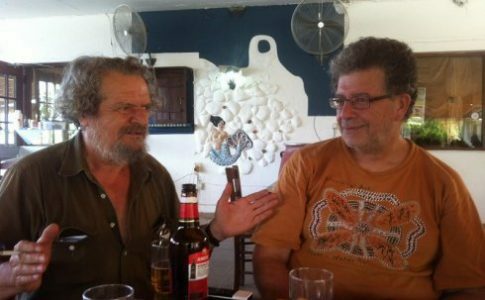 At the camp we interviewed Kostas Skordoulis and Yanis Felekis leading members of the group OKDE-Spartakos and founding members of the Institute for Political and Social Research Center Pantelis Pouliopoulos (IPSR Pouliopoulos). We also discussed with student activists from the national students coalition EAKK which includes several students’ unions and anti-capitalist organisations. OKDE-S invited Josefina Martinez, member of Clase Contra Clase of Spain, to speak at the opening rally on the situation in that country, the formation of Podemos and the tasks of revolutionaries. At the closing rally Laura Varlet, was invited to speak on the experience of the FIT in Argentina and the role of the PTS within the FIT. The closing rally took place on August 9, the day of the PASO elections in Argentina. At the plenary we pointed out that the example of the FIT shows us that it is possible for the Left to build a working class alternative and that we don’t have to liquidate our program and adapt ourselves to ‘new’ phenomena like Syriza or Podemos. This talk was particularly important in the context of the Greek situation and in our opinion shows that only patient work within the working class – fighting against both bosses and the trade union bureaucracy – can prepare the ground to build a powerful working class, women’s and youth organisation that is up to the task of putting an end to capitalism. We also met leading members of NAR and SEK (two other groups within Antarsya) and OKDE-Ergatiki Pail (OKDE-Wokers’ Struggle). 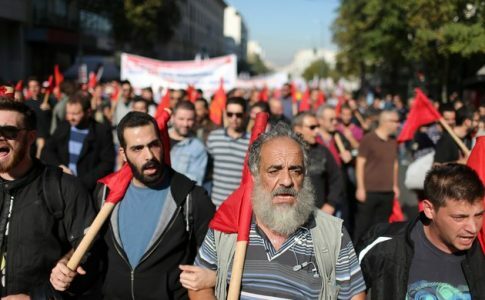 Several debates are taking place today within the Greek Left. Some people think that the task is to regroup all the forces on the Left of the Prime Minister, including those in the Left Platform, that is those who are still in Syriza, i.e. in government. For them, the regrouping should be around the ‘exit of the Eurozone’. On the other hand, there are those who believe that the key is to align us around an anticapitalist programme that calls for class independence. 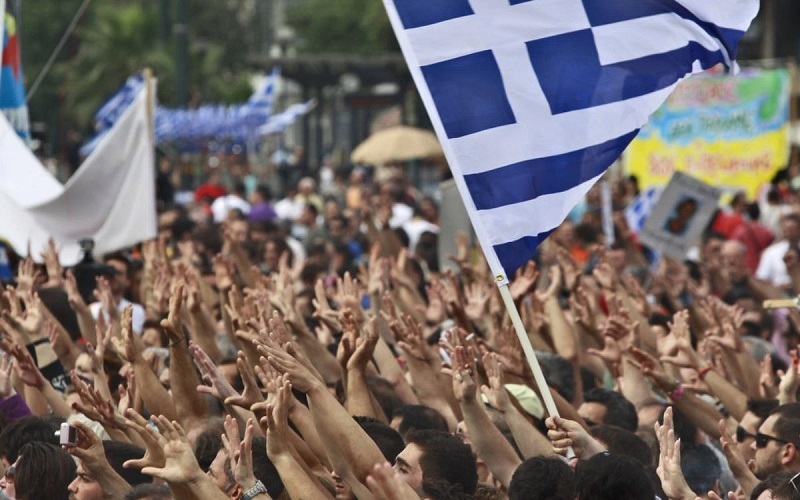 What’s next for the people of Greece? 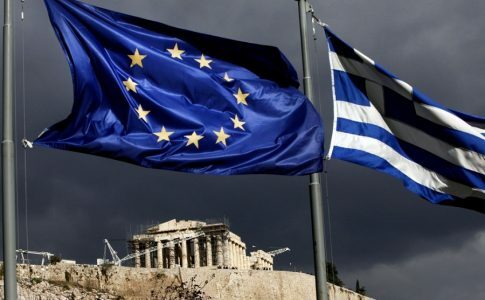 On August 4, the government of Alexis Tsipras and the finance ministers of the Eurozone agreed to third ‘Greek bailout’ worth around 86 billion euros. The key points of the deal included 35 ‘priority measures’, which were to be debated by the Greek Parliament on Thursday August 13th. Tsipras has to ensure the first loan payment, worth €26bn, to be paid by next Wednesday (19th August) to cover its bond repayment due to the ECB on the 20th. After a very difficult July, the crisis continues to hit Greece hard. In the exhausting month of August, the Tsipras government still faces great difficulties: a historic stock market crash, negotiations with the Troika and a difficult social situation that may bring more surprises after the summer. As we commented in one of our dispatches from Athens . “The difficult problem that remains unresolved is whether workers from the education, shipyard and tourism sectors, the unemployed, and those who join the struggle, along with the youth and student movement will manage to draw lessons from the past months. 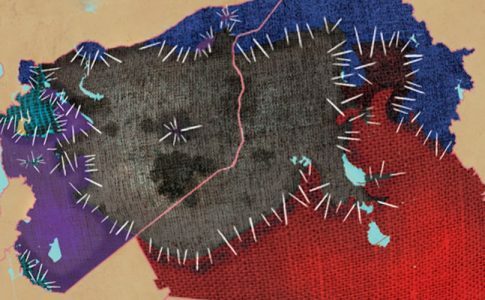 This is an essential condition for the resurgence of a potent social force that is capable of advancing a program and strategy to challenge not only the Troika and European governments, but also Syriza’s plans and the Greek capitalists.